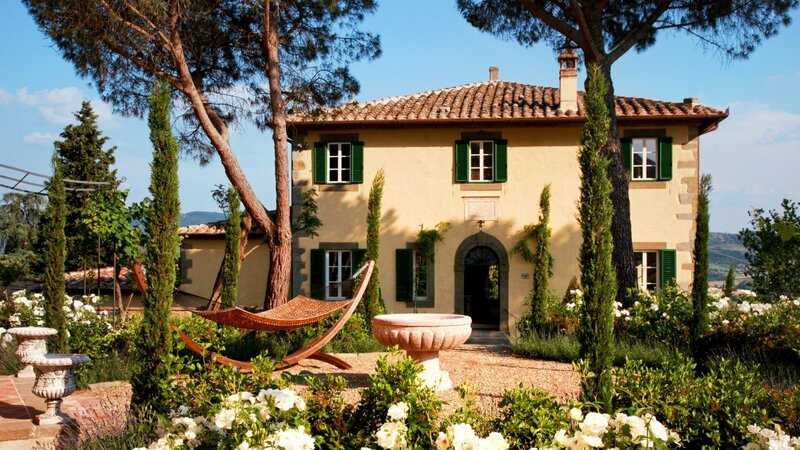 For those of us wanting to experience the setting of Frances Mayes’ book and the movie “Under the Tuscan Sun”, this is the first time they can have the same experience. 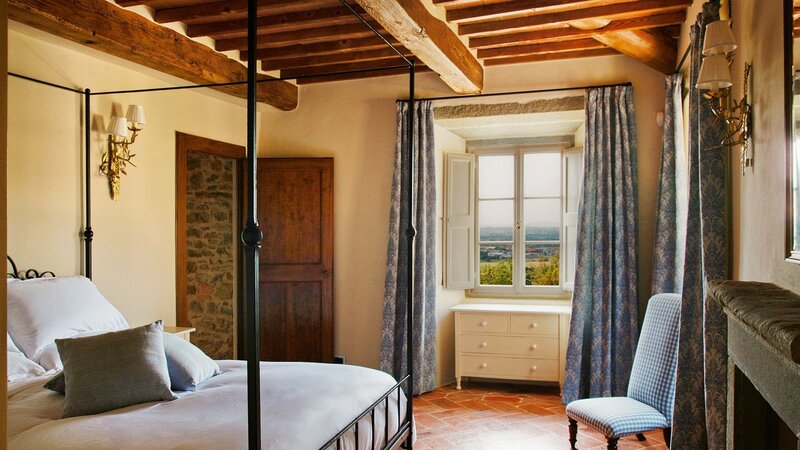 After four years of Italian love, Villa Laura has been restored and renamed as Bramasole, available for the first time for weekly rentals. 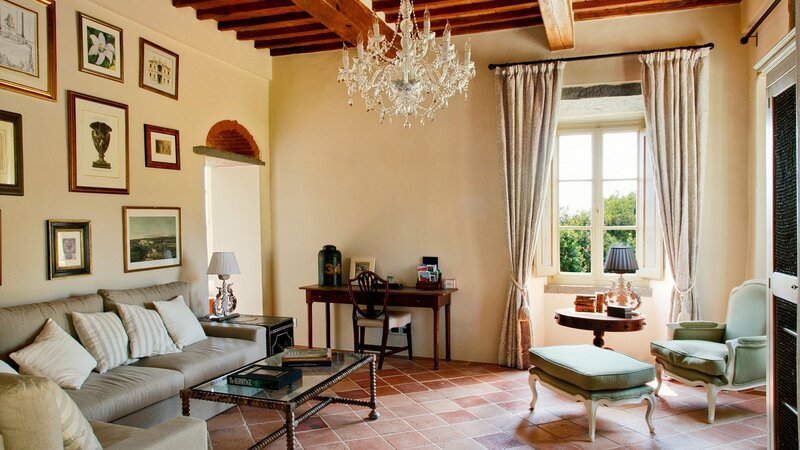 As in the novel, this villa was a large brick house, two kilometers from Cortona, completely restored. 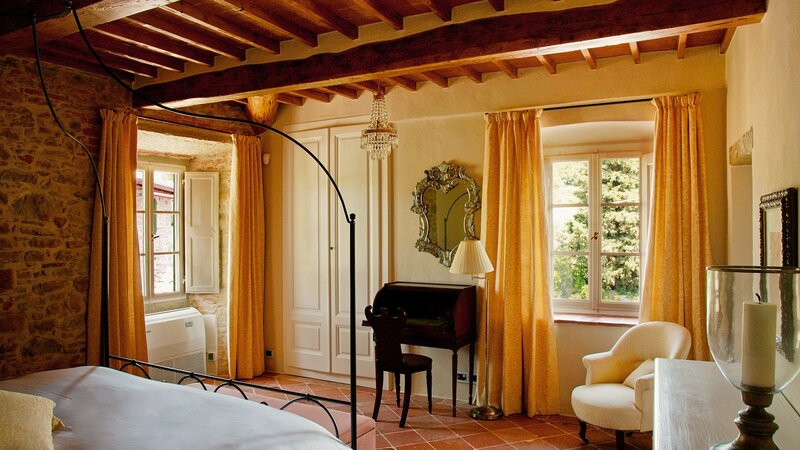 The American owners, as well as Frances, fell in love with the region of sunflowers, they have literally been conquered by the Tuscan countryside, rich in vineyards and olive groves, which made them decide to buy an old abandoned house in Cortona. 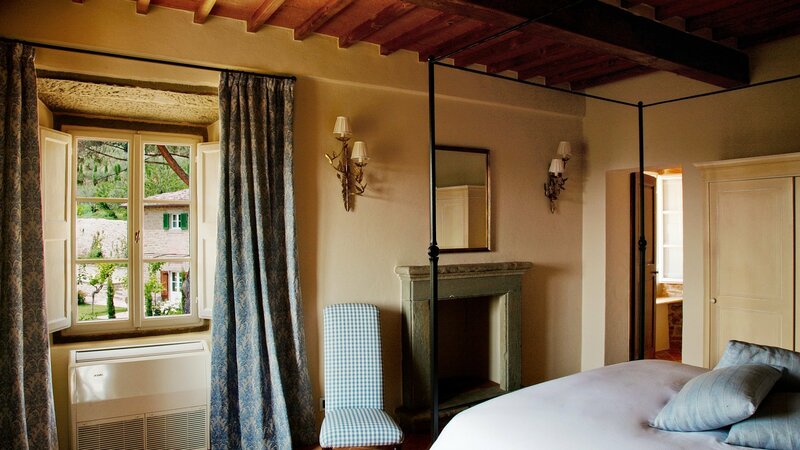 The villa was in very bad condition, but, thanks to the work of local artisans and their craftsman skills handed down from generations, the villa has been restored using antique tiles, wooden beams and terracotta floors. 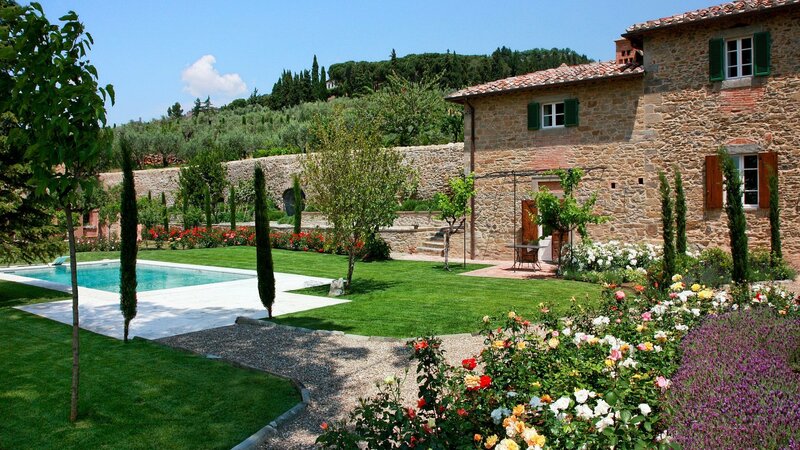 The driveway to the villa portends a well-kept garden, which offers a wonderful concentration of roses, lavender and plants of various kinds. The garden is completely fenced in and is situated on two different levels. 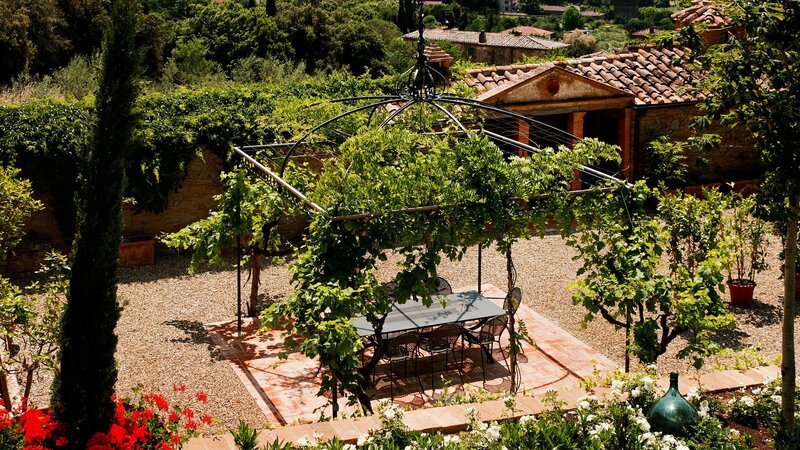 Next to the villa there is a pergola furnished for eating out. 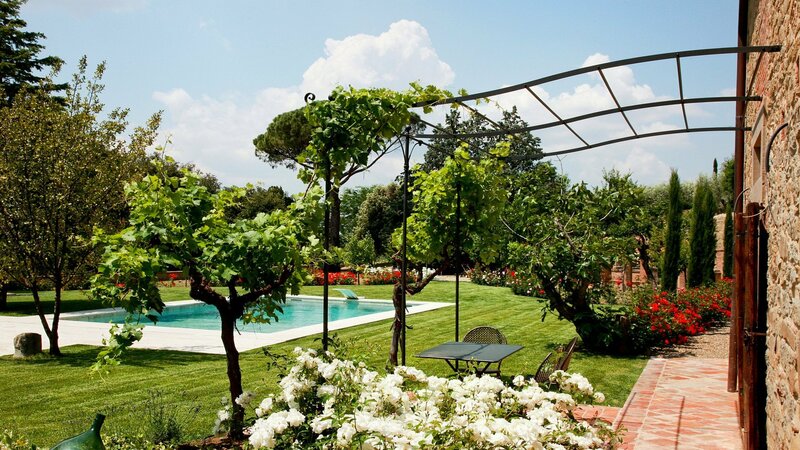 Further on, there is a vegetable garden for the use of the guests at the villa. 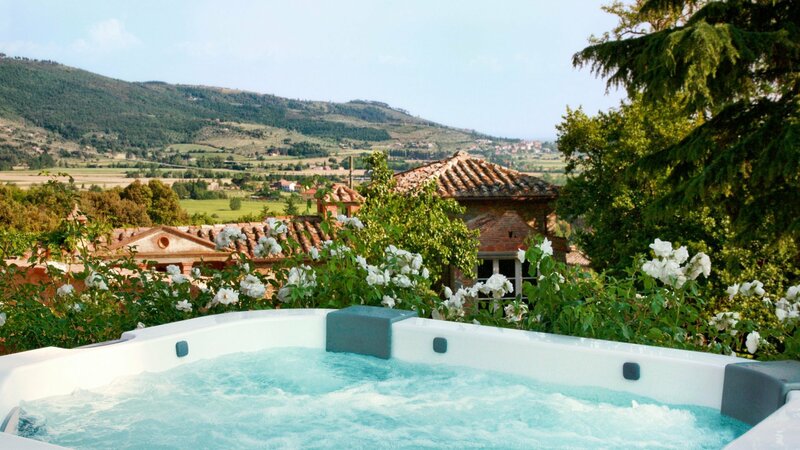 The swimming pool and outdoor Jacuzzi cheer up the warm summers. A cistern of the 17th century, giving an original effect and historical value, is now an ornamental structure in the garden, while in ancient times it was built as a reservoir to collect the rainwater. 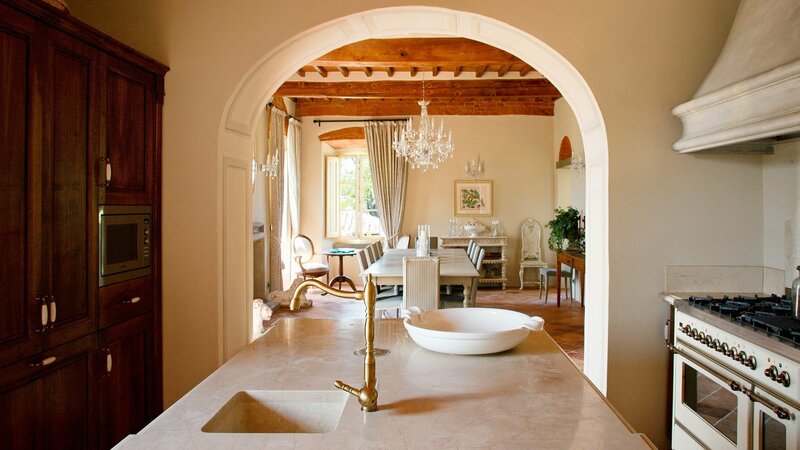 The original magic and charm were maintained at Bramasole, despite of the transformation. 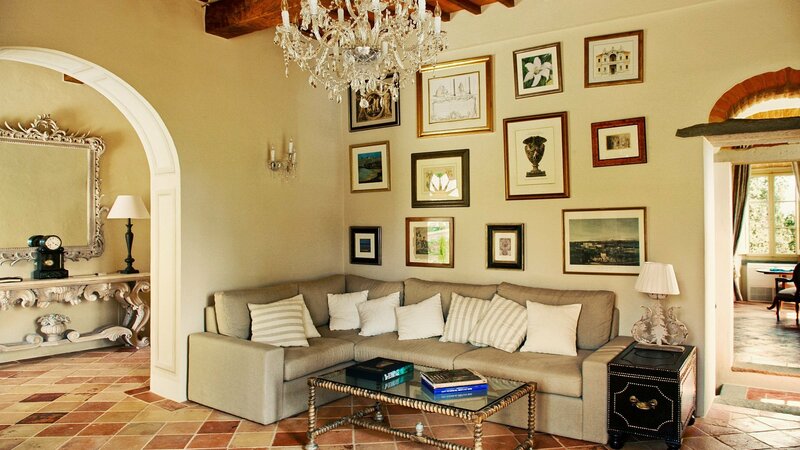 A mix of antique and contemporary furniture of an interior designer has been cleverly used to maintain the villa's original character. 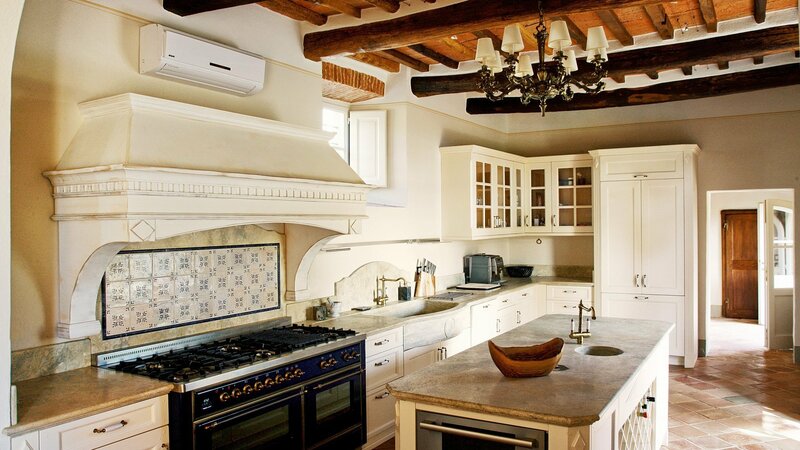 A rustic farmhouse, adjacent to the villa, completes the rental property. 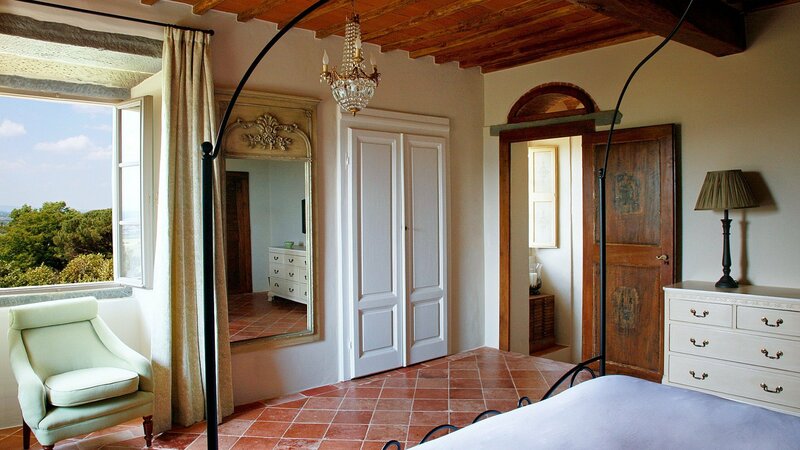 Accommodating 18 guests, this piece of Cortona is ideal for families, large groups of friends or destination weddings. 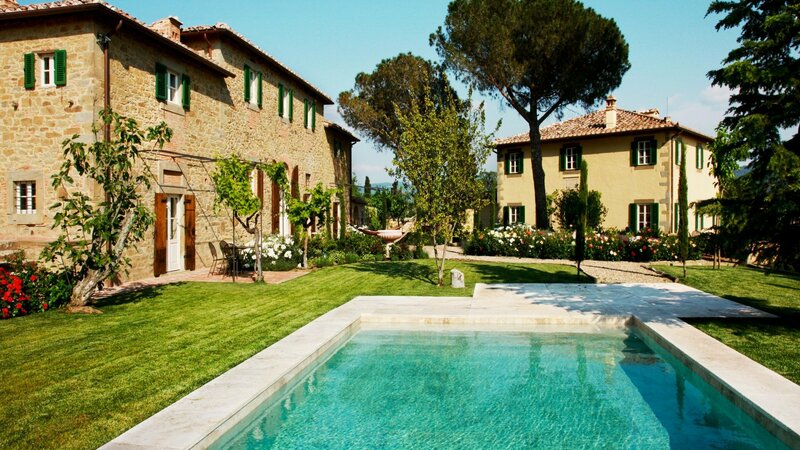 It’s the perfect opportunity for guests to step into a movie set and live out their Tuscan dreams. entrance hall, sitting room, dining room with table for 20 and fireplace, large kitchen directly connected to the dining room. bedroom 1: double bedroom with en suite bathroom with double basin, bath tub and shower. bedroom 2: double bedroom with en suite bathroom with shower. bedroom 3: double bedroom with fireplace, en suite bathroom with shower and bath tub. bedroom 4: double bedroom en suite bathroom with shower. bedroom 5: double bedroom with en suite bathroom with shower and bath tub. laundry room, sitting room, guest bathroom, private chapel. open plan room with large kitchen, sitting room and dining room. bedroom 6: double bedroom with en suite bathroom with shower, TV room, guest bathroom, billiard room (American full assize table). bedroom 7: double bedroom with en suite bathroom with shower. bedroom 8: twin bedroom (convertible into a double) with en suite bathroom with shower and double basin. bedroom 9: master bedroom with en suite bathroom with shower and bath tub. bedroom 10: double bedroom, 1 bathroom. The Limonaia also has 1 double sofa bed suitable for children. supermarkets shops, bars, chemistry, shops, restaurants in Cortona (5 min. drive). Concierge service, wine tasting, daily maid service (approx. 3 hours), change of towels and linen on Saturday and midweek, final cleaning on Saturday, heating, air conditioning, telephone (local calls only). cooking service: menu (food included) starting from 40 Euros per person, extra maid service 20 Euros per hour, laundry service 20 Euros per hour, babysitter service 20 Euros per hour, telephone. Cortona 5 min. driving, Umbertide 40km/25miles, Siena 1 hour 10 min. drive, Florence 1 hour 30 min. drive. airports: Perugia 57km/35miles, Florence 134km/83miles, Rome 243km/150miles. "Bramasole was so amazing! It was exactly like the pictures and so much more. We were a party of 10 on holiday in Tuscany celebrating a friends birthday. The grounds and view from every window are gorgeous. The entire serving and cleaning staff, Sophie, everyone did a fantastic job for us. Everyone was so welcoming, helpful and fun! Highly recommend having a pizza night at the house. We spent lots of time in Cortona and the guys went on long walks around the countryside every morning. It was a spectacular vacation!" "Our group of 22 people recently stayed at Bramasole and we had the most wonderful trip. There were 12 adults and 10 children ranging in age from 8 to 18 - each and everyone of us loved this property. The grounds are beautiful and kept immaculately clean and landscaped - the roses were also in full bloom which just added to the beauty of it all. Both houses and Limonia accommodated us perfectly. The bedrooms, bathrooms, kitchens and living areas are lovely and there is so much space that we never felt on top of each other. We availed of the chef his team for 3 private meals and they were the best ones of our 10 day trip. There was something for everyone here - a garden full of vegetables that we used daily, the pool that was so nice to come home to after being in the hot sun on touring days, the pool table, bocce court and ping pong table were used for many a competition and the big and well equipped kitchens with long dining tables great for a big morning breakfast."